Local Riders,Local Races: Jack Billyard, Back in the Bunch! Dave Rayner funded rider Billyard won the southern region junior road title in 2015 but a potentially serious heart condition put and end to his ambitions early in 2016. The 19 year old from Devizesl, Wiltshire, is back, fit and healthy and if his 4th place finish at Perfs is anything to go by, is in good form going into a busy spring with his Zappis Racing Team. 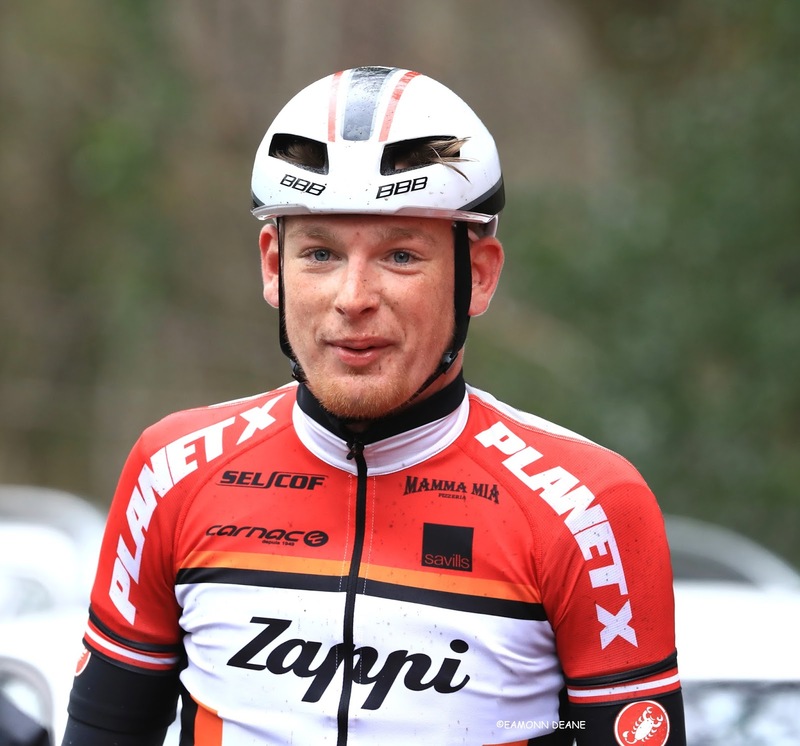 "We're in Spain until March 14th doing a few small races then we move to Italy and have U23 San Remo and U23 Strade Bianchi 25th and 26th of March which will warm us up for our April of U23 UCIs including U23 Liege Bastonge Liege on the 15th." Confident before the race Billyard told us " i would not have entered if i did not think i could win". Assured and cocky, just what you would expect and hope from a 19 year old. But that honesty and willingness to put pressure and expectation on himself could carry him far, on and off the bike. "Returning to Perfs was a nostalgic experience to say the least. The last time I’d come to the race in 2015, I was a junior with a heart condition and unfinished homework due Monday. As I approached Southwick, two year old memories flooded back of lining up against the then new ONE Pro Cycling outfit. Equipped with baggy kit and an aluminium bike, I felt thoroughly intimidated by the likes of Yanto Barker and Marcin Bialoblocki. This year, however, would be different. Despite the newly formed Bike Channel – Canyon replacing ONE Pro as the only Continental level team, I was arriving as a second year U23 with European racing experience. Instead of my usual nerves on the start line, I felt keen to get involved. It had be a long time since I’d last pinned on a number at the Piccolo Lombardia last October and I, like many others racing, wanted to see how well my winter had prepared me. In theory, Perfs is a simple race but that doesn’t make it any easier. The start was predictably rapid and the fight for position inevitable. The first time up Portsdown Hill proved to be fatal to the majority of riders’ hopes for a result. Bike Channel’s combined power on the climb and positioning in the following cross winds meant only 13 riders made the front split – five of whom were on their brand new Canyon bikes. This group of 13 was a good mix. Everyone committed to opening the gap in the windy stretches and in no time the cumulative effect of the chain gang had pulled out a one minute advantage on the peloton which was splitting behind. It wasn’t until 30km to go when a flurry of attacks, initiated by myself on the climb, brought a group of five clear. Again, Bike Channel had safety in numbers with three infiltrating this move. 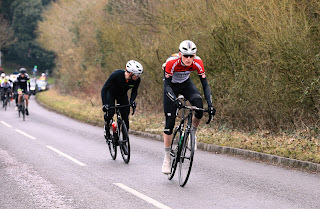 The other solo rider in the group was 17 year old Junior National Road Race Champion; Jacob Vaughan, who demonstrated both race craft and pure ability to bridge the gap to Chris Opie and James Lowsley-Williams with minimal help from anyone else. The following laps were a flurry of attack after attack with almost all members of the break trying their luck and spending time off the front. However, with five kilometres to go the race was back together but with only four leaders after dropping a Lowsley-Williams in the cross winds. 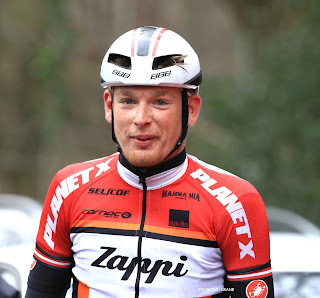 There seemed to be daylight between the lead group and any chasers but in the closing 500 metres Rory Townsend notified team mate Chris Opie that a third Bike Channel rider (Rob Partridge) was bridging across. I decided immediately to launch an attack – rightly or wrongly - with just over 300 metres to the finish line. The result was a perfect lead-out for my competitors with Opie taking the win from a superb Vaughan in second with Townsend rounding out the podium. There was a lot to take away from Perfs this year. Bike Channel’s dominance was expected from the moment the entry list was published given the strength in depth of their team which they used well to full advantage. Maybe the result was no surprise to anyone, but I’d like to think the path Chris Opie had to take to cross the line first was no walk in the park. Personally, the most noteworthy performance was from Jacob Vaughan. The Junior National Road Race Champion played a cagey final and gambled on his sprint which was even more impressive considering the VC Londres rider spent the race attacking and chasing all on junior gears. In my eyes Vaughan’s performance wasn’t an insight into a future talent but in fact an exhibit of current ability that will be on display again at Junior Kuurne Brussels Kuurne in two weeks time where he will represent the Great Britain National team." * Billyards appearence at Perfs is likely to be his only UK race in 2017 but look out for his regular racing updates on Local Riders, Local Races. Top rides from both Jack and Jacob at the weekend. Small correction, I think Jacob is riding KBK for John Barclay's South East team, not the GB National team.